Administrative Law Judge Susan Ruff, Office of Administrative Hearings, State of California (OAH) heard this matter on August 23, 24, 25, 30, and 31, 2011, in Rancho Cucamonga, California. 1 Student’s counsel was assisted during the hearing by Advocate Carolina Watts. Andrew Haas-Roche, an associate in DuBovy’s office, also attended part of the hearing. This consolidated case involves events during Student’s first, second and third grade years. The District’s portion of the case seeks to prove that two of the individualized educational programs (IEP’s), from September 2010 and February 2011, offered Student a free appropriate public education (FAPE) both procedurally and substantively. Student’s portion of the case alleges that the District denied Student a FAPE for various reasons, including failure to meet child-find obligations, problems with assessments, and both procedural and substantive problems with the various IEP’s offered by the District. This Decision finds that the District offered Student a FAPE, both procedurally and substantively, except in two narrow areas: 1) the District failed to provide assessment plans to Student’s parents within 15 days of their request for assessment in the areas of occupational therapy (OT), adapted physical education (APE), and assistive technology (AT); and 2) the District failed to produce some educational records to Student’s parents after a request for records was made (in particular, the District failed to provide the test protocols for the OT and APE assessments). Each of those procedural violations resulted in a substantive denial of FAPE. As a remedy for the District’s procedural violations, the District will be ordered to provide Student with independent educational evaluations (IEE’s) in the areas of OT, APE and AT. 2 To maintain a clear record, Student’s written closing argument has been marked as Exhibit S-96. The District’s written closing argument has been marked as Exhibit D-46. 1. Did the IEP’s dated September 16, 2010, and February 10, 2011, offer a FAPE in the least restrictive environment for Student so that the District may implement Student’s IEP without parental consent? 2. From April 29, 2009, and during the 2008-2009 and 2009-2010 school years, did the District deny Student a FAPE by failing to locate, identify and evaluate Student as a child with a disability? 3. During the 2010-2011 school year, did the District deny Student a FAPE by failing to implement her resource specialist services and specialized instruction in the frequency and duration provided for in her IEP, thereby failing to properly implement the IEP? failed to make all educational records available to Student’s parents within five business days of their written request of January 21, 2011? 3 These issues were taken from the Prehearing Conference Order issued by OAH on August 15, 2011. During the hearing, pursuant to stipulation of the parties, all of Student’s issues regarding speech and language (including assessments, goals, and services) were withdrawn from the case. The above issues have been modified to reflect this stipulation and to reflect other corrections that were made to the issues listed in the Prehearing Conference Order by stipulation of the parties during the hearing. conducting inappropriate academic, psychoeducational, OT and AT assessments of Student? 2010 extended school year services. 1. Student is a 10-year-old girl who is currently eligible for special education and related services under the eligibility category of specific learning disability. Student’s family resides within the jurisdiction of the District. 2. Student has attended Jasper Elementary School within the District since her kindergarten year. There was no evidence that Student had any educational problems during her kindergarten year that would have indicated a need for special education. Student was a year older than most kindergarten children when she started kindergarten because her parents had kept her in preschool for an extra year based on the recommendation of the preschool teacher. 3. During the 2008-2009 school year, Student was in first grade. Lynne Teter was her first grade teacher. Teter has been a first grade teacher for approximately 20 years and has been a classroom teacher for over 30 years. Teter receives annual trainings regarding the District’s responsibilities to seek out and locate children who might need special education services. Those trainings usually occur during a staff meeting near the beginning of each school year. Teter has referred first grade pupils for special education assessment. 4. During Student’s first grade year, she demonstrated strengths in math, phonemic awareness, reading comprehension, and behavior. Her areas of weakness included phonics, word fluency, and written expression. 5. Teter observed Student’s progress on a regular basis during class and gave Student the District’s benchmark tests before each trimester report card to determine Student’s progress toward California state standards. During the first trimester, Student was meeting state standards in most areas tested. During the second trimester, Student began to slip below state standards in some areas, including reading fluency. By the end of the school year, Student was still below the state standards in reading fluency. Student was approaching, but was below the state standards in written expression and phonics. 6. At the time Student was in first grade, the elementary school she attended used the “Excel” intervention program for language arts. Excel is a general education intervention program in which children from one class are grouped for instruction with pupils from other first grade classes according to their academic levels and needs. The instruction for each group is geared toward the academic level of the children in that group. 7. During the second trimester of the first grade year, Student was in the low average reading group in the Excel program. That group consisted of 20 students, a teacher, and two instructional aides. Later in the school year, Student was placed in a lower academic level group with seven students, the teacher and one aide. Teter moved Student to the lower reading group at the request of Student’s parents. 8. During the hearing, Student’s mother explained that she grew concerned about Student during the first grade, because she witnessed Student struggling with reading and math. Student spent a long time trying to complete her homework every evening and mixed up letters when she attempted to read. Student’s mother observed Student sitting quietly at her desk while other pupils received attention from the teacher. Student’s mother feared that Student was “falling through the cracks” because of her quiet behavior and not receiving the educational support she needed. Student’s mother raised her concerns to the teacher, who placed Student in a lower level reading group so that Student would receive more attention from the teacher and aide. Teter believed that Student was making adequate progress in the low average reading group, but agreed to the request made by Student’s mother because she felt the lower student-to-teacher ratio could be beneficial to Student. 9. Student’s father also testified regarding his concerns about Student’s failure to meet first grade standards by the end of that year. In particular, he expressed his concerns regarding her poor reading fluency. Based on his review of the scores, he did not believe she was approaching grade level standards. 10. In Teter’s opinion, although Student did not meet the state standards in some areas by the end of her first grade year, Student was making adequate progress and did not need a referral for special education at that time. Overall, Student scored in the “proficient” range for her benchmark tests. No referral was made for Student for special education during Student’s first grade year. 11. Sue Geddes, the principal of Jasper Elementary School, who has many years of experience as a teacher, explained that kindergarten and first grade tend to be developmental times for children, so in general the District prefers to keep those children in the least restrictive environment as much as possible. She explained that the District has a child-find protocol and tries to identify children with disabilities at the earliest possible age. Geddes described Student’s first three years as follows: Student did very well in kindergarten; the school was watching her in first grade; and in second grade they considered other avenues. 12. Katherine Boesen was Student’s second grade teacher during the 2009-2010 school year. Boesen has been a second grade teacher for 12 years and has been with the District for 18 years. She testified that she has never attended a District training on identification of children who may have a need for special education services. 13. During the first trimester of second grade, Student continued to struggle academically in the areas of reading fluency, accuracy, decoding and comprehension. In math, Student was below grade level in some areas and at grade level in others. She was also below grade level in writing and could not write a complete story without help. Boesen attempted various educational intervention programs with Student during her second grade year, including Thinking Maps for Writing, Read Naturally, and Reading Counts. 14. Around the second week of the first trimester, Boesen had an informal discussion with Student’s mother after school one day. They discussed the fact that Student was having difficulty keeping up with the school curriculum. On September 18, 2009, around the middle of the first trimester, Boesen sent an Academics Needs Notice to Student’s parents, notifying Student’s parents of Student’s poor performance on tests and limited sight word recognition. Boesen also had a conversation around that time with Student’s mother to express her concerns about Student’s academic performance. 15. After the first trimester benchmark tests, Boesen made a referral for Student to the Student Study Team (SST). The SST is an informal meeting intended to address the needs of pupils who are struggling in the general education environment. Boesen also recommended to Student’s parents that they should request that Student be referred to the SST. That SST meeting was held in approximately November 2009. 16. Boesen, resource teacher Kimberlynn Rybarczyk, Student’s mother, and the vice principal attended the SST meeting. During the meeting, the team members discussed Student’s academic needs and developed a plan to allow Student to complete unfinished work in the resource room with the assistance of the resource teacher. The team did not schedule a particular time for this assistance; instead Student would have the option of going to the resource room when she needed help and when it was convenient for her in her regular class. Although the resource room is primarily for special education instruction, Rybarczyk testified that general education teachers will sometimes send pupils who need extra help in completing assignments to the resource room. 17. During or around the time of the SST meeting, the District presented Student’s mother with a proposed plan for an assessment to determine if Student needed special education. The plan called for Student to be assessed in the following areas: academic achievement, intellectual development, language/speech/communication development, psycho-motor development, health/vision/hearing, self-help/careers/vocational abilities, and social/emotional behavior. Student’s mother signed the assessment plan on November 17, 2009, giving consent for the District to conduct the assessment. 18. The District staff assessed Student within 60 days of the date Student’s mother signed the assessment plan, excluding the time that the District was on holiday for the winter break. 19. Regina Edmon, a school psychologist for the District, conducted the assessment and administered cognitive testing to Student. Edmon has worked as a school psychologist for the District since 2006. She received her credential as a school psychologist from California State University San Bernardino in 2003. She is certified as a behavior intervention case manager and has received training regarding pupils with special needs, both during her education and since she began working as a school psychologist. She has also received training in the various test instruments used during special education assessments. 20. Edmon used the Wechsler Intelligence Scale for Children, Fourth Edition (WISC-IV) to test Student’s cognitive levels. Student obtained a score of 81 on the Verbal Compression Index, a score of 82 on the Perceptual Reasoning Index, a score of 80 on the Working Memory Index, and a score of 85 on the Processing Speed Index, for a full scale IQ score of 77, in the borderline range. Edmon also administered the Beery-Buktenica Developmental Test of Visual-Motor Integration, Fifth Edition (VMI) to test Student’s ability to integrate or coordinate visual perceptual and motor skills. Student received a standard score of 74 on that test, in the low range. 21. Edmon was familiar with the WISC-IV and had administered it hundreds of times. She followed the publisher’s protocols in giving the test. In her opinion, Student was very attentive to the test and the test results were accurate. The same applied to the VMI – Edmon was familiar with the test, had administered it hundreds of times, followed the publisher’s protocol in administering the test, and believed the test results were accurate and valid. 22. As part of the assessment, Edmon observed Student in the classroom and interviewed Student’s teacher. Edmon did not interview Student’s parents as part of the assessment. She testified that they sent a questionnaire to Student’s parents regarding Student’s health and development, but Student’s parents did not complete the questionnaire or send it back. Generally the District assessors contact the child’s parents to follow up after they receive the completed questionnaire. Both the school nurse and Edmon left messages for Student’s parents, but did not hear back from them. 23. Edmon did not conduct an OT assessment because she felt such an assessment was not necessary for Student at that time. Although both Student’s parents and teacher felt that Student’s handwriting was not always neat and correctly spaced, Student was able to function appropriately in the general education environment using standard classroom accommodations. 24. Edmon did not assess in the areas of APE or AT for much the same reason. Student was able to maneuver around the school campus and participate in physical education with typically developing peers. Although Student’s father had some concerns about Student’s gross motor abilities, Edmon did not believe an APE assessment was necessary at that time. Likewise, Edmon believed there was no need to conduct a special education assessment in the area of AT, because Student’s needs were being met with standard classroom accommodations. 25. When Edmon reviewed Student’s report cards and spoke to her current teachers, she determined that there was no need for further testing in the area of social emotional functioning or in the area of self-help skills. Based on Student’s history and the information Edmon received, Student had no educational needs or problems in these areas. 26. Rybarczyk conducted the academic achievement testing for Student as part of the District’s assessment. Rybarczyk is a credentialed special education teacher who has been employed by the District as a resource teacher for five years. Rybarczyk administered the Kaufman Test of Educational Achievement, Second Edition (KTEA) to Student. Rybarczyk chose the KTEA because it was a good test to show a child’s academic ability and how the child will perform in a classroom. Rybarczyk was familiar with the test, had administered it many times and followed the publisher’s protocols when she gave the test to Student. She believed that Student put forth her best efforts on the test and that the test results were valid. 27. Student scored in the average range in a few of the subtests, such as written expression, listening comprehension, phonological awareness, and naming facility, but scored below average in every other subtest. Most of her standardized scores ranged from 70 to 86, except for her listening comprehension score which was 102. 28. Based upon the consistency of Student’s scores in the cognitive testing and academic achievement testing, Edmon did not believe Student qualified for special education under the eligibility category of specific learning disability (SLD). There was no severe discrepancy between Student’s cognitive ability and her academic achievement. Because of that consistency, Edmon saw no need to conduct further testing of Student or use a nonverbal cognitive ability test. She did not believe that Student’s receptive or expressive communication would impair her ability to perform on the tests. In her opinion the tests she gave presented a nice picture of Student’s visual processing, auditory memory, attention processing, and cognitive skills. The one high score in listening comprehension was important information regarding Student’s abilities but was not sufficient for a finding of a particular disability. In Edmon’s opinion, that one piece of information also did not suggest that Student had higher cognitive ability; it just suggested she had strengths in that area. 29. During the hearing, none of the experts directly criticized the District’s assessment. Douglass Moss, the District’s Lindamood-Bell expert, looking solely at the results on the KTEA, testified on cross-examination that the fact that the highest score on the KTEA was 102 and the lowest score was 70, would warrant further investigation. However, he was not asked whether his opinion would change based on the rest of the District’s assessment findings. 30. Student’s expert Stephen Meyer, who conducted the IEE of Student discussed below, also agreed that the difference in scores warranted further testing. However, Meyer did not criticize the District’s assessment, the test results or the choice of tests. He explained that he would have used the WISC-IV for his IEE if the District had not already used it. 31. On January 28, 2010, the District held an IEP team meeting to review the assessments and make a determination as to whether Student required special education services. Both of Student’s parents attended the meeting. The District participants included: Rybarczyk (special education teacher), Boesen (general education teacher), Edmon (school psychologist), an assistant principal (school administrator), a speech-language pathologist, and a school nurse. 33. The team drafted an IEP which included goals and services relating to all of Student’s areas of academic need, not just speech and language. The IEP proposed that Student would remain in the general education classroom, but receive special education instruction in the resource room for four 20-minute sessions a week, totaling 80 minutes per week. The notes regarding that specialized service in the IEP added that the service could include: “Any other amount of time, as needed.” The IEP also called for Student to receive 40 sessions of speech and language services of 30 minutes per session over the course of the year, totaling 1,200 minutes. 34. The IEP contained goals in the areas of mathematics, reading fluency, writing, and articulation. The goals were based on second grade curriculum standards. The math goal called for Student to calculate the answers to 10 three-digit addition and subtraction number sentences with regrouping. The reading fluency goal called for Student to read a second-grade passage at a rate of 60 correct words per minute, with 90 percent accuracy in two of two trials. The writing goal called for Student to independently compose a single paragraph, including a topic sentence, supporting sentences and a concluding sentence in two of two trials. The articulation goals addressed Student’s speech and language needs. 35. Rybarczyk testified that the goals in the IEP were appropriate for Student even though they were written to second grade curriculum standards and would extend until Student’s next annual IEP in the middle of Student’s third grade year. She said the goals were based on Student’s current levels of functioning. 4 Because Student is not challenging the appropriateness of the speech and language services, goals, or assessment, there is no need for detailed Factual Findings regarding speech and language. For purposes of this Decision, it is sufficient to note that a speech and language assessment was conducted and that the IEP team determined that Student qualified for special education services under the eligibility category of speech or language impairment. 36. The District team members did not believe Student needed an IEP goal in the area of attention. Based on their observations of Student, it appeared that Student tended to lose focus when she did not know how to do a task. When she understood a task, her attention was fine. They felt the accommodations and services in the IEP would modify her work to her current functioning level, so she would be able to attend to her work properly. 37. Student’s parents participated in the discussion at the IEP team meeting and expressed concerns about the findings in Edmon’s report. They told the District team members about a skin condition (itching) that Student occasionally exhibited that seemed to be related to anxiety. Student had not previously exhibited that itching at school, and the first time Edmon learned about the condition was during the meeting. 38. The District IEP team members did not propose a goal related to anxiety because Student did not exhibit any anxiety at school. Likewise, the IEP did not offer school-based counseling because the District team members felt that proper academic supports would eliminate any attention or anxiety problems Student might have. They did not feel her social or emotional functioning was of such concern that she required counseling, and they were reluctant to pull her from the general education classroom further. 39. A box on the IEP was checked indicating that Student did not need extended school year (ESY) services. Rybarczyk admitted during her testimony that ESY services were not discussed during the IEP meeting and that the failure to discuss those services was an oversight. However, she did not believe that Student needed such services. ESY services are designed to prevent a disabled child from regressing during the summer vacation when that child, due to the child’s disability, is unable to recoup those skills after the new school year starts in the way a typical child would. Student had not demonstrated that type of regression in the past, so there was no need for ESY services. 41. In Boesen’s and Rybarczyk’s opinions, the January 28, 2010 IEP identified all of Student’s needs, and the goals addressed all her areas of need. Rybarczyk opined that the offer of placement and services in the IEP was appropriate to meet Student’s needs. Neither of Student’s experts directly criticized the District’s January 2010 IEP. As will be discussed below, Stephen Meyer, Student’s neuropsychology expert, testified that he did not think typical public school RSP services would be sufficient for Student. However, he did not specifically discuss this IEP offer (or any of the District’s proposed IEP’s). 42. On February 4, 2010, the same day Student’s parents signed their agreement to the IEP, Student’s father sent a letter to the principal of Jasper Elementary School. The letter, among other things, requested IEE’s in the area of speech and language and psychoeducation. The letter also requested assessments by the District in the areas of OT, APE and AT. 43. Geddes testified that she received the letter, discussed it with the members of the District’s assessment team and forwarded it to the District office. Geddes was not authorized to offer IEE’s at her level. The District offered to fund IEE’s in the areas of psychoeducation and speech and language. Student’s parents wrote to the District on February 28, 2010, proposing assessors to perform the two IEE’s. 44. The District did not prepare an assessment plan for an OT, APE or AT assessment at that time. The District first provided Student’s parents with an assessment plan for an OT assessment in September 2010, which Student’s parents signed on September 29, 2010. The District first provided Student’s parents with an APE assessment plan on September 30, 2010, which Student’s parents signed on that same date. The District first provided Student’s parents with an assessment plan for AT on January 13, 2011, which Student’s parents signed on the same date. The IEP team meeting to review the OT and APE assessments was held on November 10, 2010. The IEP team meeting to review the AT assessment was held on April 20, 2011. 45. After Student’s parents agreed to the IEP, the District began to implement that IEP. The District provided Student with specialized academic instruction in the resource room four times a week for 20-minute sessions. When the resource teacher and general education teacher decided it was necessary, Student was provided up to 25 minutes longer in the resource room, based on the IEP provision permitting additional RSP time. 46. In the spring of 2010, Student participated in the California state standards testing (STAR Testing). Student scored in the “below basic” range for mathematics and the “far below basic” range for English-language arts. 48. Between April and June 2010, Stephen Meyer, Ph.D., conducted an independent psychoeducational assessment of Student, pursuant to the request of Student’s parents for an IEE. Meyer is a clinical psychologist who has been practicing in California since 1977. He received his Ph.D. in clinical psychology from Fuller Theological Seminary in Pasadena, California. He has served as a lecturer at Azusa Pacific University in the Professional School of Psychology, and as an Adjunct Professor of Psychology at Pepperdine University. He has had numerous professional publications and has conducted hundreds of psychological assessments during his career, including assessments of children with dyslexia and children with brain injury. 49. As part of his assessment, Meyer interviewed Student’s mother to obtain a prenatal and childhood history for Student. Student’s mother informed him that there had been problems with Student’s birth. The umbilical cord was wrapped around Student’s neck, and Student was not breathing at the time she was born. Meyer administered several tests to Student, including the Wechsler Nonverbal Scale of Ability, the Wechsler Individual Achievement Test – III (WIAT-III), the Child Behavior Checklist, the Connors 3, Draw a Person, and Draw a Family. Meyer also administered several neurological tests to determine if Student exhibited symptoms of brain injury or dysfunction. During his testimony, Meyer explained that these neurological tests could not normally be administered by a school psychologist; they required a clinical psychologist with a background in physiological psychology to administer the tests. Meyer did not observe Student at school or interview any of Student’s teachers as part of his assessment, but he provided the Connors 3 questionnaire to Student’s teacher to complete. 50. The Wechsler Nonverbal Scale of Ability was developed to examine cognitive functioning among children from non English-speaking populations. Student did not fall into that category, but Meyer used the test because he wanted to emphasize the nonverbal part of Student’s abilities. He explained that the purpose of an IQ test is to look at learning potential. Based on the results of the test, Meyer concluded that Student’s IQ score was 99, in the average range. 51. On the WIAT-III, Student scored 77 on the early reading skills subtest, 67 on the word reading subtest, 77 on the pseudoword decoding subtest, and 75 on the spelling subtest. Based on the discrepancy between Student’s average IQ score and her below average, borderline or deficient scores on her reading skills, Meyer concluded that Student should be found eligible for special education under the eligibility category of specific learning disability. When asked during the hearing about the processing disorder that is part of the finding of a specific learning disability, Meyer stated that Student’s processing disorder would be in the area of visual spatial processing and auditory conceptualization. He explained that his report did not explicitly state that, but the processing disorders were described in the neurological test results. 52. With respect to the neurological tests, Student achieved scores in the average range on some and in the impaired range on others. Meyer concluded that Student exhibited mild to moderate brain dysfunction caused by birth trauma. With respect to reading and spelling, the neuropsychological pattern indicates the presence of dyslexia and spelling dyspraxia because of neuropsychological dysfunction related to the left temporal and parietal area of the brain. Resolution of this type of reading and spelling problem is best achieved through the Lindamood-Bell program which uses the multisensory approach to develop sensitivity to speech sound discrimination necessary for reading and spelling. 55. Meyer had never personally administered Lindamood-Bell (LMB) services, but he had read about LMB and spoken with an LMB center director who explained the program to him. He felt it was an excellent program to treat a brain-injured child and more effective than traditional reading programs in school which do not provide the intensity that a brain-injured child needs. In his opinion, a younger child’s brain has more plasticity and ability to be molded than an adolescent’s brain, so it is important to provide a sufficiently intensive program at a young age. It is tougher to remediate dyslexia as a child gets older. He did not believe a public school classroom teacher had the time to provide the level of attention necessary for a brain-injured child. He believed that a typical resource program of 45 minutes three or four times a week would not be sufficient for Student because of the complexity of her condition. He felt she needed a multisensory, multidisciplinary approach. However, he admitted during his testimony that he was not familiar with the reading intervention methodologies used by the District with Student. 56. During the hearing, Edmon disagreed with Meyer’s choice of the Wechsler Nonverbal Scale of Ability to test Student’s cognitive ability. She explained that two of the subtests on that test are similar to subtests on the WISC-IV. Only a few months had passed between the District’s administration of the WISC-IV to Student and Meyer’s testing, so Student might have experienced a “practice effect” leading to a higher score on the second administration of the subtests. Edmon believed that Student’s cognitive ability score was elevated on Meyer’s testing, and she disagreed with Meyer’s ultimate finding of SLD. In her opinion, Meyer’s report did not find that Student had a processing disorder; he just discussed difficulties with processing. 57. During the hearing Meyer defended his use of the Wechsler Nonverbal Scale of Ability by explaining that he selected the test because Student seemed to have problems with expression so he wanted to use a test that emphasized the nonverbal to see what Student’s learning capacity might be. He denied that the practice effect would be a concern and explained that the subtests in question were different enough so there would not be a problem. 58. After receiving the recommendations for LMB in Meyer’s report, Student’s parents took Student to LMB for an assessment. LMB is a private company that provides instruction to children based on various proprietary methodologies. 59. An assessor from LMB conducted an assessment of Student on August 3, 2010. Anne Perry, the Center Director of the LMB office in Pasadena, signed the assessment report and discussed it at the hearing. However, she was not the individual who conducted the assessment, nor did she know the name or qualifications of the individual who did. LMB provides in-house training for the individuals who perform its assessments, but does not require its assessors to possess a psychology degree, California teaching credential or licensure as a speech-language pathologist. Perry did not choose the tests given to Student; instead the tests were the standard battery of LMB diagnostic tests given to prospective pupils. 60. The tests given included: 1) Peabody Picture Vocabulary Test-IV, Form A; 2) Detroit Tests of Learning Aptitude-4 (word opposites subtest); 3) Detroit Tests of Learning Aptitude (verbal absurdities subtest); 4) Detroit Tests of Learning Aptitude-2 (oral directions subtest); 5) Woodcock Reading Mastery Test-NU, Form G (Woodcock NU word attack subtest); 6) Slosson Oral Reading Test-R3; 7) Wide Range Achievement Test-4, Form Blue (spelling and math computation subtests); 8) Gray Oral Reading Test, Form A; 9) Gray Oral Reading Test 4, Form A; 10) Lindamood Auditory Conceptualization Test-3; 11) Informal Tests of Writing; and 12) Symbol Imagery Test. 61. Based on the results of the assessment, LMB recommended that Student should receive 140 to 180 hours of LMB instruction, consisting of instruction for four hours a day, five days a week for a period of seven to nine weeks. 62. Perry holds a California multiple subject teaching credential and has taught as a classroom teacher in the past. She has a bachelor’s degree in English and a master’s degree in teaching. She has worked for LMB since 2006, first as a credentialed clinician, then as an associate center director, and since March of 2010 as Center Director of the Pasadena Center. She has been trained in the various aspects of the LMB programs and has supervised others in connection with those programs. In her opinion, the recommendation made in the LMB report was appropriate for Student. 63. During the hearing, the District witnesses disagreed with the LMB assessment and findings. Douglass Moss, Ph.D., the District’s expert on LMB, criticized the tests given to Student. Moss is a speech-language pathologist with a specialization in pediatrics who works for the Mountain View School District within the SELPA. He has worked as a speech-language pathologist for over 15 years. He was trained by LMB in 1997 and has implemented LMB programs in the course of his work since that time. He said that LMB programs can be effective at the early stages of reading, to help children develop the basic skills for literacy, but the transition between LMB and the classroom is not effective. Other methodologies are better for transitioning to the classroom. 64. Moss explained that some of the tests in the LMB assessment given to Student – including the Detroit Test of Learning Aptitude and the Detroit Test of Learning Aptitude2 – were outdated tests. Some of the tests – including the Peabody Picture Vocabulary Test-IV, Form A, and the Detroit Tests of Learning Aptitude-4 – were supposed to be administered by school psychologists or speech-language pathologists, but there was no indication of the credentials of the LMB employee who administered those tests to Student. Some of the tests – including the word opposites subtest of the Detroit Tests of Learning Aptitude-4, and the spelling and math subtests of the Wide Range Achievement Test-4, Form Blue – were only subparts of larger tests, and Moss believed that LMB should have given the entire test, not just subparts. 66. Student was in third grade during the 2010-2011 school year. Alicia Larrabee was her third grade general education teacher and Rybarczyk continued as her special education teacher for RSP services. Rybarczyk used the Voyager Passport program as the primary methodology for Student’s language arts RSP services in third grade. Student received math interventions through the math Excel program. 5 In her written closing argument, Student challenged Moga’s ability to give opinion testimony because the District had not properly designated Moga as an expert in the District’s Prehearing Conference Statement. However, Moga was in attendance at the IEP meeting and could testify as a percipient witness to the opinions of the IEP team at the time and the reasoning behind the District’s IEP offer. 67. Voyager Passport is an intervention program approved by the State of California which addresses comprehension, fluency, sight words, phonemic awareness, phonics, decoding and vocabulary. It is designed to supplement regular curriculum and fill in gaps the child might have. Rybarczyk testified that Student made progress from August 2010 to February 2011 in reading decoding and fluency, although she did not make as much progress as Rybarczyk had hoped the Voyager Passport intervention would produce. In math, Student made some growth during that time period, but not as much. The Voyager Passport records that were submitted into evidence showed that Student was making some progress in certain areas with that intervention, but only limited progress in other areas. 68. Both Geddes and Moga testified as to the effectiveness of the Voyager Passport Program for struggling readers. Moga explained that the program is based on research stating that it is, among other things, effective for children with dyslexia. 69. In a typical day in Larrabee’s third grade classroom, the children started with physical education from 7:55 to 8:15 a.m., and then participated in the reading Excel program from 8:15 a.m. to 9:15 a.m. After that they came back to class and worked on writing standards and grammar from 9:15 to 10:00. The class went to recess at 10:00 a.m. and then participated in math Excel from 10:25 to 11:25 a.m. Lunch was from 11:30 to 12:20. From 12:20 to 1:05 p.m. the class engaged in activities such as computer time, library time or silent reading. That was also a time for Larrabee to assist pupils who needed more help in reading, writing or math through small group instruction. The class went to recess from 1:05 p.m. to 1:15 p.m. At 1:15 p.m. they generally had science or social studies until about 2:30 p.m. On Friday mornings they had an assembly, so they would have physical education for the last 30 minutes of the day. 70. Larabee testified that Student was able to keep up with most of her class work with the accommodations in her IEP and the standard general education classroom accommodations. Student had friends in class and interacted with her peers in the manner of a normal third-grader. She generally completed most of her class assignments, although she needed reinforcement with newer concepts and required more repetitions to learn concepts than her typical peers. Her classroom accommodations included things such as additional time to complete assignments and seating near the front of the class. 71. On August 26, 2010, near the start of Student’s third grade year, an IEP team meeting was held to review the results of the IEE’s and the LMB assessment. Student’s parents attended the meeting, along with Perry and Meyer. The District participants included Rybarczyk, Edmon, a speech-language pathologist, an assistant principal, Larrabee and Moga. Meyer presented his assessment and the team discussed his findings. Perry discussed the LMB assessment and the recommendations. The District speech-language pathologist presented the speech and language IEE report. 72. The IEP team discussed Student’s present levels of performance and her progress on her goals. The team also discussed changing Student’s eligibility category to SLD in light of Meyer’s assessment. Student’s parents participated in the discussion during the meeting. 73. According to Rybarczyk, Perry told the IEP team that LMB services could get Student up to grade level in seven to eight weeks. The District team members did not think it would be appropriate to pull Student out of school for LMB services for three or four hours a day, because Student would only be working on a couple of specific skills at LMB and she would miss all her core curriculum at school. Moga testified that when she asked Meyer about his recommendation for LMB services, he told her that he was not familiar with LMB, but had heard it was a good program from the speech-language pathologist who conducted the IEE. Rybarczyk also confirmed during her testimony that Meyer told the IEP team that he had never seen the LMB program in use before, but had heard it was good. After reviewing the LMB assessment and the IEE’s, the District IEP members felt that Student would be capable of making progress in the District’s general education class with RSP support, without the highly restrictive placement in the LMB program. 74. No formal changes to Student’s IEP were made during the August IEP meeting. According to the District witnesses, it had been a long meeting, and the District team members wanted time to look over the assessments and consider new goals in light of what had been discussed. The team scheduled a follow-up meeting for September 16, 2010. 75. On September 9, 2010, the District sent Student’s parents the proposed IEP goals to review before the September 16, 2010 IEP team meeting. Rybarczyk’s cover letter sent with the goals stated, in part, regarding the upcoming IEP meeting: “We are not looking to make any changes to services.” Larabee testified that the proposed goals were written to third grade standards. On September 14, 2010, Student’s parents sent a letter to the District regarding the upcoming IEP meeting. The letter, among other things, proposed several categories of goals to be discussed at the meeting, including written expression, spelling, auditory memory, sensory motor, conceptualization, ADHD, and social/emotional. The letter also made suggestions for changes to the goals proposed by the District. 77. On September 16, 2010, the parties held the reconvened IEP meeting. The team decided to make the meeting Student’s annual IEP, so they could examine Student’s progress on her previous goals and start new goals for her. 78. Student’s parents attended the meeting. The District members in attendance included Rybarczyk, Larrabee, Geddes, Moga, Edmon, a speech-language pathologist and the vice principal. 79. During the meeting, the team discussed Student’s present levels of performance and her progress on her IEP goals. Larabee told the team that Student’s classroom accommodations were helping her. The District team members reported that Student had made progress on her IEP goals, but had not met any of them. In math, at the time of her January 2010 IEP, the present level of performance stated that Student could add and subtract without regrouping of numbers. By the time of the September 2010 IEP meeting, she knew how to regroup and was more accurate than she had been, although she still made mistakes. In writing, she had made significant progress, and by the September 2010 IEP team meeting she was able to write a paragraph on her own without someone sitting next to her. 80. Based on Meyer’s assessment, the team agreed to change Student’s eligibility category for special education to SLD. Edmon did not agree with Meyer’s conclusion that Student qualified under SLD. She questioned his report for the reasons stated above. She also believed that his assessment showed insufficient evidence of a processing deficit that was a requirement for finding an SLD. However, she also understood that the change in eligibility category was an IEP team decision and she agreed with the team’s decision to make the change. 81. The IEP contained goals for Student in the areas of articulation, grammar/syntax, mathematics (addition and subtraction) mathematical reasoning, reading comprehension, reading-decoding, reading fluency, writing, mathematics (multiplication), and written expression (spelling). Student’s father had an opportunity to participate in the IEP discussion, and changes were made to the goals based on his input. Rybarczyk explained during her testimony that the goals in the September 2010 IEP were based on third grade standards. In her opinion, the goals were appropriate and addressed Student’s areas of educational need. 82. The goals reflected progress that Student had made since the January 2010 IEP. For example, the addition and subtraction goal in the January 2010 IEP had called for Student to add and subtract three digit numbers, with regrouping. The comparable goal in the September 2010 IEP called for Student to add and subtract numbers between zero and 10,000, with regrouping. The September 2010 IEP also added new mathematics goals for multiplication and mathematical reasoning (solving two-step word problems involving addition, subtraction or multiplication). 83. The reading fluency goal in the January 2010 IEP had called for Student to read a second grade passage. The September 2010 IEP continued the reading fluency goal, but called for Student to read a third grade passage. The September 2010 IEP also contained new goals relating to reading comprehension and reading decoding. 84. The January 2010 IEP had called for Student to independently compose a single paragraph. The September 2010 IEP continued that goal, but called for Student to be at her grade level. The September 2010 IEP also added a goal related to spelling, which was one of Student’s areas of weakness. The team wanted her to be able to spell at the third grade level. 85. The team discussed Student’s attention issues, but felt there was no need for a goal in that area – they felt that if Student received appropriate supports and accommodations in class, her attention would not be a problem. 86. The IEP increased the amount of time that Student spent in the resource room to four 30-minute sessions per week, for a total of 120 minutes per week. Like the January 2010 IEP, the services page of the September 2010 IEP stated that the specialized academic instruction in the resource room could include “[a]ny other amount of time, as needed.” The IEP also called for Student to receive language and speech services in the same amount and frequency as the January 2010 IEP. 87. The IEP included classroom accommodations for Student consisting of additional help on assignments from a teacher, aide, or in the resource room, extra time to complete assignments and tests, math tests read aloud, tracking cues such as different colors for different lines of texts, sitting in close proximity to the teacher, and questions provided in advance. 88. The team discussed the possibility of ESY services, but the District team members did not believe that Student had shown sufficient regression in the past to require ESY services. Rybarczyk testified that Student had demonstrated some regression each year, but it was similar to the other pupils in the class. The notes to the meeting indicated that the team would meet again in April to discuss ESY and other summer academic options for Student. 89. In Meyer’s IEE, he had diagnosed Student with an anxious mood. The team discussed the possibility of counseling and a social/emotional goal but the District team members believed that as Student became more comfortable with her third grade classroom, her social/emotional issues would decrease. They did not see a need to take Student out of the classroom for counseling. 90. In Rybarczyk’s opinion, the IEP identified and addressed Student’s areas of need and the goals were appropriate. She believed that the placement and services in the IEP were sufficient to meet Student’s needs and still keep Student in the least restrictive environment as much as possible. Although Student’s experts Meyer and Perry felt that LMB would be the best program for Student, neither testified that the District’s September 16, 2010 IEP offer denied Student a FAPE or would fail to provide educational benefit to Student. Meyer opined generally that the District’s RSP program would not be sufficient to meet Student’s needs, but he was not familiar with the District’s reading intervention programs and did not testify as to the District’s offer in any particular IEP. 91. Student’s parents did not sign their consent to the IEP during the meeting, but took the document home to review it. 92. In October and November 2010, the District conducted assessments of Student in the areas of OT and APE. 93. Adriane Namehas conducted the OT assessment on behalf of the District. Namehas received her master’s degree in OT in 1997 and has been licensed as an occupational therapist since that time. She has worked as an occupational therapist for the District since August 2010. She received the signed assessment plan in September 2010 and conducted her assessment in October 2010. 94. As part of her assessment, Namehas administered tests to Student, including the Test of Handwriting Skills – Revised, the Sensory Processing Measure, and the Motor-Free Visual Perception Test – Third Edition. She was familiar with the tests, had administered them many times before, and followed the publisher’s protocols in administering them. She also conducted a classroom observation of Student as part of her assessment, read past reports and reviewed work samples. 95. Student scored in the average range overall on the Test of Handwriting Skills. The Sensory Processing Measure was given to Student’s third grade general education teacher to complete. Student’s teacher scored Student in the typical range. Student also scored in the average range on the Motor-Free Visual Perception Test. 96. Namehas did not give Student’s parents the Sensory Processing Measure to complete. Student’s father objected to that during the hearing and felt that Student’s parents should have been given the Sensory Processing Measure as well as the teacher, to get a complete picture of Student’s sensory processing abilities and needs. 97. Namehas concluded that Student’s educational needs were being addressed within the classroom curriculum, and she did not require OT services to access her educational program. 98. Wendy Holmes conducted the APE assessment of Student. Holmes has been an APE teacher for the County of San Bernardino for 12 years. She received a master’s degree in educational administration and holds various educational credentials, including but not limited to a severely handicapped credential and an APE credential. 100. On November 10, 2010, the IEP team met to review the OT and APE assessments. Student’s father attended the meeting along with Rybarczyk, Larrabee, Namehas, Holmes, the speech-language pathologist, and an assistant principal. At the time of the meeting Student’s parents had still not agreed to the September 16, 2010 IEP. The District staff asked Student’s father to sign the previous IEP. He said he was not ready to sign the IEP because he had documentation that he wanted to attach but did not have that documentation ready. 101. The team reviewed and discussed the OT and APE assessments. Namehas reported her findings that Student did not need OT services, but recommended that she receive additional time and accommodations for her assignments. Larabee agreed that Student did not need OT services – Student’s handwriting was a little immature, but legible, and her fine motor skills were adequate. 102. Holmes told the IEP team that Student was on the borderline of qualifying for APE. The team discussed the possibility of providing APE services for Student but concluded that it would be better to keep Student in the general education classroom, rather than pull her out of class for APE services. Student was able to access the general education physical education classes with standard modifications, and her academic needs would best be served in the classroom. Holmes suggested that the general education teacher assign one or two peers to play hopscotch with Student during recess, to help her work on hopping, skipping and jumping skills. It was suggested that the general education teacher make certain that Student was chosen by the other children to participate in group physical education activities, and was not left out by her peers because of her deficiencies. The IEP team did not discuss whether the IEP could call for APE collaboration or consultation services for the general education classroom. Holmes explained that she collaborated with the IEP team during the meeting and that the team seemed comfortable with that. 103. Aside from the suggestion for assistance with hopping, skipping, and jumping activities, the November 10, 2010 IEP did not make any changes to Student’s proposed placement and services. The IEP still found Student eligible for special education under the category of SLD. 104. Larrabee testified that Student’s hopping, jumping, and skipping skills improved after only a few weeks. Student’s father also testified that he saw an improvement in these skills. To conclude, we have come to understand that [Student’s] unique needs require intensive, specialized intervention at this time in order for her to receive educational benefit. We believe that [Student] has not received a Free and Appropriate Education to date. We would request that [Student] receive services from Lindamood-Bell beginning immediately so that she can receive educational benefit given her areas of identified unique need. Furthermore, although we disagree with the services set forth in the September 16, 2010 IEP, we would ask that they continue and the goals be honored until the appropriate services can be agreed upon and implemented. Please consider our signatures below as consent to the goals and services established in the September 16, 2010 IEP for implementation purposes but do not construe this consent as agreement that the goals are sufficient or appropriate nor that the level of services is sufficient to meet all of [Student’s] unique needs. Please attach this letter to the September 16, 2010 IEP as part of the whole document. 106. The letter requested that the District respond to the request for LMB services by December 17, 2010. A handwritten notation on the letter indicated that it was received on December 10, 2010. 107. On December 10, 2010, the District responded to the request by Student’s parents for LMB services. The District declined the request for several reasons, including: 1) Student’s progress in the third grade general education and resource program; 2) the fact that the LMB program would not be the least restrictive environment for Student; and 3) the concern that Student would miss “a great deal of academic and social time” at school if she attended the LMB program in Pasadena. The letter noted that the offer of FAPE for the 2010-2011 school year included an AT assessment. 108. On January 13, 2011, the District provided Student’s mother with the proposed assessment plan for an AT assessment. Student’s mother signed the assessment plan, giving her consent for the assessment on the same date. Rybarczyk testified that she did not believe Student needed AT services at the time, because Student was accessing the general education curriculum without any AT services except those provided in the general classroom. 110. On January 27, 2011, the District responded to that request by producing documents to Student. 114. The District failed to produce the protocols for the OT and APE assessments conducted in October and November 2010. During the hearing, Holmes testified that she maintained a copy of her protocols after her APE assessment, but no one from the District had requested her to produce those protocols. She would have produced them pursuant to a records request had the District asked her to do so. 115. During the hearing, Student’s counsel attempted to cross-examine Holmes about the subtest scores on which Holmes based her assessment findings. Homes explained that she was unable to discuss the specific scores without reviewing her protocols. 116. Likewise, Namehas testified that her protocols from her OT testing were kept in Student’s file in the District office and should have been produced if a records request was made. During his testimony, Student’s father confirmed that Student’s parents never received test protocols in response to their records request. 117. On January 21, 2011, Student’s parents delivered a letter to the District requesting an IEE in the area of OT. The letter requested that the District provide a list of qualified assessors, but noted that Student’s parents were not required to choose an assessor from the District’s list. The District responded with a proposed assessment plan for Casa Colina to perform an IEE. During the hearing, Moga explained that she drafted the assessment plan for Casa Colina to perform the IEE, because that was the assessor that most parents preferred to perform an IEE. 118. On January 31, 2011, Student’s parents sent a letter to Moga, objecting to the fact that the District made out the assessment plan for Casa Colina. Student’s parents stated they had not chosen Casa Colina as the assessor and asked for a list of qualified assessors and the District’s criteria for an IEE. Moga testified that, after receiving this letter, she sent Student’s parents a list of independent providers, but they never chose a provider or returned a signed assessment plan to her. We are planning to have [Student] attend LMB from 8am to 11am. Afterward, [Student] will return to Jasper Elementary so she may participate in the regular school day from approximately 12 noon to 2:30pm. [Student] will not be pulled out of class to attend resource (RSP) during this placement. However, she will continue with her language and speech services. 6 On February 23, 2011, Student’s advocate sent a letter to the District regarding the February IEP. The letter stated that the District had not yet done an OT IEE, but said the request for an OT IEE would be addressed “in separate correspondence.” It was not clear from the evidence whether that separate correspondence was ever sent to the District or what that correspondence said. Student did not refer to a specific exhibit that included such correspondence in her written closing argument. 122. On January 26, 2011, the District sent a response letter to Student’s parents regarding the request to cease RSP services stating, in part, that the District could not remove Student from RSP support without an IEP team meeting. The letter requested that Student’s parents provide three dates and times when they would be available for an IEP meeting to discuss the issue. The letter noted that Student was receiving 45 minutes of resource support, five times a week, plus speech and language support. The letter also stated that LMB was not recognized as a public school by the State of California. The letter went on to state that placement of Student in the LMB program during school hours would be a violation of the compulsory attendance laws and would require the District to initiate School Attendance Review Board (SARB) proceedings. 123. On January 31, 2011, Student’s parents sent a letter to the Superintendent of Schools taking issue with the District’s January 26, 2011 letter, and explained that they considered the threat of SARB proceedings to be intimidation and retaliation for Student’s parents exercising their rights under special education law. 124. On January 25, 2011, LMB retested Student using the same battery of tests they had given during the summer. At that point, Student had not received any services from LMB. Once again, there was no testimony or other evidence given during the hearing as to the name or qualifications of the individual or individuals who administered those tests. Student’s parents met with Perry to discuss the testing at some point after this. Perry told them that Student was older and the test scores had shown regression, so Student now needed more hours of LMB intensive instruction than were originally recommended in July 2010. LMB now recommended 160 – 200 hours of intensive instruction. 125. On approximately February 1, 2011, Student began attending the LMB program for three hours each morning as Student’s parents had outlined in their letter. Student continued to attend that program instead of her morning public school program for most of the rest of her third grade year. Student’s mother explained that part of the decision to place Student in LMB was because it seemed as if Student would never catch up to her grade level. She testified that Student was becoming stressed about school. Student’s mother explained that Student’s itching decreased within three to four weeks of beginning the LMB program and that, within the first week of being at LMB, Student wanted to stay there all day and did not want to go back to school. 126. On February 4, 2011, Student’s parents sent a letter to Rybarczyk explaining that they were rescinding their consent to RSP services from the September 16, 2010, and November 10, 2010 IEP’s “because the instruction given there may conflict with the specialized instruction, and because we would like her to access the rest of her curriculum when she is in school.” The District responded with a letter by stating that the District was legally bound to provide RSP services until the IEP was changed. The letter also explained that instruction in core curriculum took place in the morning, not in the afternoon when Student normally went to RSP. 127. According to the RSP logs kept by Rybarczyk, between August 16, 2010, and December 9, 2010, when Student’s parents agreed to the September 2010 IEP, Student received 25 to 45 minutes of RSP services per session. There were two days with a smaller amount: on October 7 and 14, 2010, Student received 15 minutes of RSP services. Between December 10, 2010, and February 1, 2011, Student received 25 to 45 minutes of language arts RSP instruction each session. Rybarczyk testified that she did not include math instruction on her RSP logs at that time, although she did start including it on her logs later. Between February 1, 2011, and February 28, 2011, after Student’s parents placed Student in the LMB program, Student received between 10 minutes and 90 minutes of language arts RSP instruction (not including any math instruction that was not listed on the logs). 128. Between March 1, 2011, and March 9, 2011, the logs indicate that Student received between 10 minutes and 65 minutes of RSP services in math, as follows: March 1: 45 minutes, March 2: 15 minutes, March 3: 65 minutes, March 4: 45 minutes, March 7: 10 minutes, March 8: 60 minutes, and March 9: 40 minutes. No logs were submitted into evidence for any time period after March 9, 2011. 129. On February 10, 2011, the parties held another IEP team meeting for Student. The people in attendance at the meeting included Student’s parents, Larrabee, Rybarczyk, Namehas, Geddes, Moga, the speech-language pathologist, and an assistant principal. At the time, Student had already begun attending LMB in the mornings, at her parents’ expense. 130. The purpose of the meeting was to discuss the dispute between the parties regarding the decision of Student’s parents to pull Student out of school for the LMB services. The District team members presented information regarding the progress that Student had made in the public school since the beginning of the third grade year. Larrabee told the team that Student had made progress in reading fluency and comprehension, and that her writing had really started to improve. Student was having difficulty with multiplication, but had learned addition out to the thousands place. She was still making spelling errors, but her spelling tended to be phonetic and was easy to understand. Student’s first trimester report card, which had come out around the end of November, showed that she was meeting grade expectations in some areas but not others. 131. Larrabee expressed concerns about Student being pulled out of school for the LMB services, because Student would be missing her math and reading Excel interventions and her standards-based instruction. Larrabee was also concerned about Student missing the social component of her education. Student was shy, and Larrabee did not want her to gain unwanted attention and questions from her classmates about her failure to attend class. The District team members shared her concerns. 132. The District team members continued to maintain that Student could not be removed from a single service, such as RSP, without IEP team consent. They said that, if Student’s parents wished to exit Student from special education services altogether, they could do that. The District team members believed that RSP services were still necessary for Student, so they did not agree to exit her from the services. 133. The parties dispute to what extent Student’s parents participated in the discussion during the meeting. Rybarczyk testified that Student’s parents told the IEP team that they had already stated their concerns by letter and would not repeat them. Moga testified that Student’s father would not discuss his concerns during the meeting, and stated that he had put his concerns in his letter. Student’s father testified that he told the IEP team his concerns about Student’s reading, writing and math and his concerns about her poor performance on benchmark testing in the past. He felt the team was also aware of his concerns from past IEP’s and his letters. 134. The IEP proposed by the District kept the same annual goals from the September 16, 2010 IEP, but noted Student’s progress on those goals. The IEP also added a new goal related to sight word recognition. The notes to each goal described in detail the progress Student had been making. Aside from spelling, Student was on track to meet every goal by the next annual IEP meeting. She had made particular growth in the area of readingdecoding. 135. The IEP recommended increasing Student’s time in the RSP room to four 90minute sessions per week, totaling 360 minutes per week, with Student working half of the time in language arts and half in math. An additional 30 minutes a week of RSP time was provided in addition to that 360 minutes per week. The IEP also offered four 60-minute sessions per week of after-school tutoring support and continued to offer speech-language services. The IEP indicated that Student did not need ESY services, but agreed to revisit the issue at the end of the school year. Rybarczyk explained that, prior to this offer, she had primarily been providing Student with language arts interventions in the RSP room, with only limited math RSP instruction. 136. Moga testified that the IEP team recommended increasing the RSP time in math, in part, because Student was missing her core instruction time in the general education class due to her LMB instruction every day. She said the District did not want Student to fall further behind. Although Student had been making progress, they thought more time in RSP would be better. 139. The advocate’s letter clarified that Student’s parents withdrew their consent to the previously agreed-upon goals relating to reading comprehension, reading-decoding, reading fluency, and written expression-spelling. The letter stated: “[t]o be completely clear: my clients withdraw their consent to the implementation of these identified goals, and they do not consent to the District working on these goals during [Student] attendance at school.” The letter also stated that Student’s parents disagreed with the District’s recommendation that Student did not need services in the area of OT and APE, and contended that the District had not assessed Student in all areas of suspected disability, including but not limited to the area of AT. The letter also stated that Student’s parents did not agree with or consent to the offer of after-school tutoring support. 140. On March 1, 2011, after further correspondence between the parties, the District ceased providing RSP services in language arts and began to implement the RSP services in math called for in the February 2011 IEP. 141. From March 1, 2011, through the end of Student’s third grade year, Rybarczyk worked exclusively on math with Student in the RSP room, in accordance with the RSP services from the February IEP to which Student’s parents had agreed. Student made significant progress in math between that time and the end of the third grade year. 142. The parties dispute whether Student suffered any harm socially during the time she was at LMB rather than a full-time public school placement. Geddes testified that she saw Student return to Jasper Elementary School one afternoon after her LMB morning program. She said Student looked a little sad and out of place. Student’s mother testified that Student was sad because she did not want to attend the public school at all, but that Student enjoyed her time at LMB. 143. On March 14, 2011, the District completed the AT assessment. Cindy Cottier, a speech-language pathologist and augmentative communication specialist, conducted the assessment. The assessment found that Student could benefit from the use of assistive technology programs, including Co:Writer (with the Flexible Spelling and Predict Ahead features) and Write:Outloud. The assessment also recommended: 1) a graphic organizer for Student; 2) that Student increase her understanding of basic word processing; and 3) that the school staff and Student’s parents receive training on these programs if necessary. 144. On March 14, 2011, Student filed a Compliance Compliant with the California Department of Education (CDE) complaining about the District’s failure to file for due process to defend its February 2011 IEP offer and the District’s refusal to implement the services the parents agreed to in the IEP. 145. On March 22, 2011, the District filed a request for mediation only with OAH. The case did not settle, and on April 12, 2011, the District filed for due process in the instant case seeking to defend its IEP offers of September 16, 2010, and February 10, 2011. On April 14, 2011, CDE issued a notice that the investigation of the Compliance Complaint had been set aside pending the conclusion of the due process hearing. 146. On April 20, 2011, the IEP team met to review the AT assessment and discuss whether Student needed ESY services. About a week before the IEP meeting, several district team members had an informal meeting to discuss the various AT programs recommended. 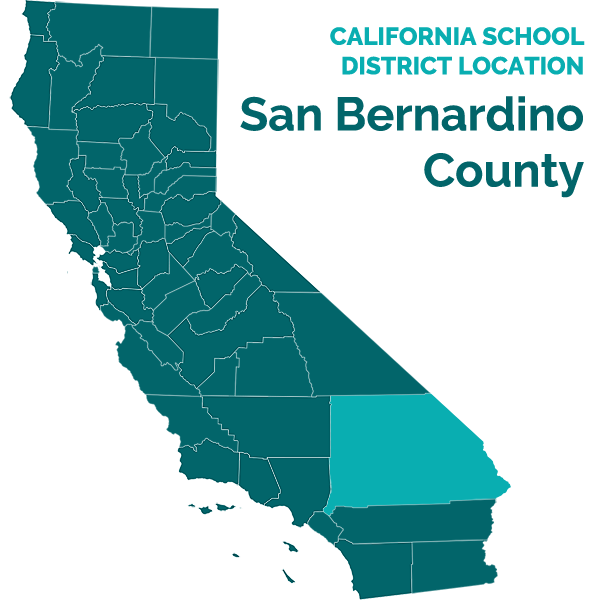 Amy Duncan, an AT expert who works for the County of San Bernardino, met with a general education teacher, a special education teacher, a speech-language pathologist and an occupational therapist after school to look at the recommendations from the AT evaluation. The purpose of the meeting was to familiarize the staff members with the proposed programs so the programs could be implemented more quickly if the IEP team agreed to the AT services. It was not a formal training, though the team members got to see the programs and had time to work with them on laptop computers. Student’s parents were not invited to the informal meeting. Duncan explained that she would have provided training in the AT systems after the IEP meeting, if the IEP team agreed to the AT services. Once AT programs are implemented, the staff collects data to see how effective they are. 147. Duncan attended the April 20, 2011 IEP team meeting and presented the AT assessment report. The team recommended several different AT programs that could be of benefit to Student. Larabee had not personally worked with some of those programs before, but she agreed with the recommendation and felt the programs could benefit Student. The team did not decide at the meeting who would collect the data regarding the effectiveness of the AT programs once Student began using them. Duncan testified that she would supervise the collection of that data, but that was not discussed during the meeting. The team discussed in general how the AT plan would be implemented and during which part of Student’s day they would try the plan. The team considered the software Student was already using. Duncan offered to provide training in the programs to Student’s parents. Student’s father testified that it was not clear to him when that training was supposed to begin. 148. The notes to the IEP meeting specified that Student was being offered AT services, including instruction on using computers, keyboarding skills and the specific computer programs recommended for Student. The notes listed the various computer programs that would be available to Student each day in the resource room, and what would be available for Student’s parents until 4:30 each school day in the computer lab. The notes explained when the various programs would be used (for example, that Student would be supported using Kidspiration when graphic organizers were used for pre-writing tasks). 149. The IEP team also discussed ESY services, but the District team members felt that Student had not shown the type of regression in the past that would indicate a need for ESY services. At the time of the IEP meeting, Student had been making progress on the goals to which Student’s parents had agreed. 150. Student’s parents did not sign their consent to the IEP at the meeting, but instead took it home to review. Student’s parents never agreed to the IEP, so the AT supports were never implemented. On April 29, 2011, Student’s parents filed their due process hearing request against the District. 151. On May 4, 2011, LMB conducted a retest of Student after Student had undergone 189 hours of LMB instruction. LMB issued a report showing three sets of test results, one for August 3, 2010 (discussed above in Factual Findings 59 – 65), one for January 24, 2011 (discussed above in Factual Finding 124) and one for May 4, 2011. As before, there was no evidence presented at hearing as to the name or qualifications of the individual or individuals who gave any of the LMB tests. 152. The parties dispute whether the three sets of scores showed any significant improvement for Student after receiving the 189 hours of LMB instruction. Perry opined that Student’s scores showed improvement in the Woodcock NU Word Attack subtest, the Slosson Oral Reading Test – R3, and on the fluency and comprehension subtests of the Gray Oral Reading Test 4, Form A. 153. Perry testified that Student’s greatest growth from her intensive LMB instruction came in the area of symbol imagery. She explained that symbol imagery was one of Student’s areas of weakness and that it was only during the last third of Student’s LMB instruction that Student began to “move…through that symbol imagery window.” LMB recommended another 120 – 160 hours of intensive LMB services for Student, once again using the LMB Seeing Stars program to help her develop her symbol imagery and the reading skills that LMB believes will result from that imagery skill. 154. Moss disagreed that the LMB retest showed significant progress by Student. He testified that, aside from Student’s score on the math test and in reading comprehension, any seeming improvement on the test scores could be explained by the standard error of measurement for the various tests or familiarity with having taken the same tests in the past. Larrabee testified that, at the end of Student’s third grade year, Student had made progress in reading fluency and comprehension, but was still not at grade level. Student’s mother testified that she saw Student’s spelling improve after the LMB instruction, but the LMB May 4, 2011 test scores did not show a significant improvement in spelling. 155. For purposes of this hearing, it is not necessary to resolve the factual dispute about whether and to what extent Student made progress as a result of attending the LMB program. As discussed in Legal Conclusion 5 below, the focus of this due process case is on the District’s proposed program and whether it was reasonably calculated to provide educational benefit, not on Student’s parents’ preferred program, even if that preferred program might have provided additional benefit.7 Nothing in the LMB report or Perry’s testimony stated that Student required the LMB services to access the general education curriculum or to gain educational benefit from her public school program. 7 The parties also disputed whether and to what extent the LMB program was based on peer reviewed research. Once again, it is not necessary to decide this issue because the efficacy of LMB is not at issue in this case, just the appropriateness of the District’s program. 156. By the end of her third grade year, Student had made progress in writing and math. Larrabee testified that Student had worked on writing during the time she was at the public school and had made progress in spacing, margins, indentation, and other elements of writing. She also reported that Student made great progress in math, particularly with statistics and data. Student was not up to third grade level standards in algebra, but was making progress. 157. On May 20, 2011, Student’s advocate sent a letter to the District objecting to many aspects of the April 20, 2011 IEP, including the goals, proposed placement and proposed services. 158. On July 29, 2011, Student’s counsel gave the District notice that Student’s parents intended to enroll Student in the LMB program starting on August 8, 2011, for several hours each school day and would seek reimbursement from the District. However, during the hearing, Student’s parents indicated that they have had difficulty affording LMB services for Student. Student’s mother is afraid that Student’s itching and anxiety will start again if she attends the public school without LMB services in her fourth grade year. Student’s father believes that LMB is the only thing shown to be effective for Student. 159. Student’s parents paid in full for Student’s LMB services in third grade and are seeking reimbursement from the District for those services in the amount of $19,006.00. They are also seeking reimbursement for their mileage to and from LMB for two trips per day at the rate of 50 cents per mile and 64 miles one way. Student also seeks prospective placement at LMB, as well as compensatory education in math, and prospective services in the areas of OT, APE and AT. 160. Student also seeks IEE’s in the area of OT and AT. Student’s father agrees that Student has improved in the area of hopping, skipping and jumping, but believes she needs special education APE services in the area of throwing and catching a ball. 1. The party filing a due process case has the burden of proof in the proceeding. (Schaffer v. Weast (2005) 546 U.S. 49 [126 S.Ct. 528].) In this case, the Student has the burden of proof regarding her issues and the District has the burden of proof regarding its issue. From April 29, 2009, and During the 2008-2009 and 2009-2010 School Years, Did the District Deny Student a FAPE by Failing to Locate, Identify and Evaluate Student as a Child with a Disability? 8. As set forth in Factual Findings 1 – 41 above, the District met its child find obligations with respect to Student. Although Student started to fall behind the state curriculum standards in first grade, Teter’s testimony was persuasive that Student’s struggles were not sufficient at that time to warrant a referral for special education. When Student’s difficulty with the curriculum increased in second grade, Student’s second grade teacher referred Student to the SST, which met informally to discuss Student’s situation and offer a special education assessment plan to Student’s parents. Student’s parents signed that plan and the District conducted an assessment within the statutory time periods. Both Teter and Geddes testified to the District’s trainings regarding child find for all the teachers. 9. Student presented no expert testimony to counter Teter’s opinion that Student did not qualify for special education in Student’s first grade year. Neither Meyer nor Perry testified that the District erred by not finding Student eligible for special education prior to Student’s second grade year. 10. In Student’s written closing argument, Student argues that the District had a policy of not referring children for special education until second grade. That argument misstates Geddes’ testimony and is contrary to the other evidence in the case. Teter testified that she had referred children for special education. Student also contends that Boesen testified she did not attend any District trainings on child find. Even if she did not, it does not affect the outcome of this case, because Boesen properly referred Student to the SST, and a special education assessment was proposed. Boesen clearly understood her child find duties. 11. The evidence supports a finding that the District met its child find obligations at all times during this proceeding. There was no denial of FAPE due to the failure of the District to refer Student for special education prior to November 2009. Did District Deny Student a FAPE During the 2009-2010 School Year by: a) Failing to Assess Her in Areas of Suspected Disability Involving OT, APE and AT as Part of District’s Initial Evaluations of Student; and b) by Conducting Inappropriate Academic, Psychoeducational, OT and AT Assessments of Student? 14. As set forth in Factual Findings 18 – 30 above, the District presented evidence that its December 2009 – January 2010 assessment met the requirements of the code. The tests administered were valid, they were administered by appropriate personnel who followed the publisher’s protocols, and they were comprehensive. Student does not dispute the training of the personnel or the appropriateness of the tests given. Instead, Student contends that the assessment was not sufficiently comprehensive. 15. Student contends that the District should have done additional testing in light of Student’s high score on the listening comprehension portion of the KTEA. Student cites to Meyer’s testimony that he felt it necessary to do additional testing based on that score. Moss also testified that, looking solely at the KTEA, the listening comprehension score could warrant further evaluation. 8 The federal code uses the term “evaluation” instead of the term “assessment” used by California law, but the two terms have the same meaning for these purposes. 16. However, Edmon’s testimony is persuasive on this issue. Given all the information the District had at the time, and the consistency of all of Student’s other test scores, Student’s one high score in the listening comprehension subtest did not call into question all the other consistent test results. Instead, it was reasonable for the District to conclude that it represented an area of strength for her. The District did not have Student’s prenatal history until Meyer’s report and did not know of any potential brain injury. 17. Meyer’s findings to the contrary, discussed in Factual Findings 48 – 57 above, are not sufficient to rebut Edmon’s testimony in this regard. Although Meyer was sincere and knowledgeable, his choice of a cognitive test that was not intended for a pupil in Student’s situation calls into question the validity of his findings and weakens the persuasiveness of his opinion. His neurological tests, while informative as to the reasons behind Student’s condition, do not change this result. The neurological tests were more in the nature of the clinical examination rather than an educational assessment. Meyer even admitted during his testimony that a school psychologist would not normally be trained to conduct such tests. 18. Moss’s testimony discussed in Factual Finding 29 above, is also not sufficient to contradict Edmon’s opinion. Moss answered the question solely as to the results of one test. He was never asked if his opinion would change if he learned of the consistency of the other test findings in the District’s assessment. 19. Edmon and Rybarczyk were competent to perform the testing and their findings were well supported by the tests they gave. Given all the information the District possessed at the time, the District’s psychoeducational assessment was appropriate and comprehensive to address Student’s areas of educational need. 20. Likewise, as set forth in Factual Findings 22 – 28 above, Edmon’s opinion that it was not necessary to conduct assessments in the area of OT, AT or APE at the time of the initial assessment is persuasive. Student was accessing the general education curriculum without any significant difficulties in those areas. Student presented no expert testimony to contradict Edmon’s opinions on these matters. 21. The evidence supports a finding that the District’s initial psychoeducational assessment was comprehensive, appropriate, valid, and conducted by appropriate personnel. There was no denial of FAPE. 22. Likewise, as set forth in Factual Findings 92 – 101, the evidence showed that the OT assessment was appropriate. Namehas was qualified to conduct the OT assessment, used valid test instruments and followed the publisher’s protocols in conducting the assessment. Student presented no expert evidence to counter Namehas’ testimony in this regard. 23. Student presented no expert evidence to criticize the District’s AT assessment. As set forth in Factual Findings 143 – 148, Duncan, although she did not conduct the AT assessment, was familiar with the assessment and provided testimony regarding the assessment and the findings. Student had the burden of proof on this issue and failed to bring in sufficient evidence to meet that burden. There was no denial of FAPE. Did the District Procedurally Deny Student a FAPE by Failing to Consider the Results of the IEE’s Conducted by Dr. Stephen Meyer and LMB in August 2010? 24. If a parent obtains an independent assessment, either funded by a school district or at the parent’s own expense, a school district is required to consider the results of that assessment as part of the IEP process. (20 U.S.C. § 1414(d)(3)(A); Ed. Code, § 56329, subd. (c); 34 C.F.R. § 300.502(c)(1)(2006).) Student contends that the District denied Student a FAPE by failing to consider the results of the IEE’s at Student’s IEP team meeting. 25. The evidence does not support Student’s contentions. As set forth in Factual Findings 48 – 90 above, the overwhelming evidence shows that the District personnel did consider the IEE’s and modified Student’s IEP in connection with those assessments. Although Edmon disagreed with Meyer’s findings, she acquiesced to the team’s decision to change Student’s eligibility category to SLD. The change in eligibility category alone is sufficient to rebut Student’s contention. There was no need to change Student’s IEP program in light of the new eligibility category, because the District was already properly providing an appropriate placement and services to address all of Student’s educational needs, not just those related to Student’s prior eligibility category. 26. The testimony of the District witnesses at the hearing also demonstrates their sincere consideration of the IEE’s. Despite their concerns about the validity of the IEE findings (because of the questions regarding Meyer’s choice of cognitive testing and the appropriateness the LMB assessment) the IEP team still engaged in a discussion of those findings and the significance those tests might have for Student’s education. 27. In the written closing argument, Student argues that some of the District IEP team members did not have the LMB assessment prior to the August 2010 IEP meeting. However, as set forth in Factual Finding 74 above, part of the reason the IEP team held a continuation meeting in September was to give the District team members time to review and consider the assessments. 28. Student argues that the fact that no significant changes were made to Student’s IEP program in September 2010, also shows the District did not take into consideration the expert reports. However, as set forth in Factual Finding 33, the District had initially provided Student with an IEP to address all her needs, not just speech-language, so there was no need to significantly change her services after changing her eligibility category. Further, as set forth in Factual Findings 77 – 91, the District did increase Student’s RSP services in the September 2010 IEP and added additional goals. 29. The fact that the District ultimately rejected the recommendation for LMB services is not dispositive on this issue – given the questionable validity of the LMB testing and the District’s belief that the number of hours recommended were excessive, the District personnel were wise to be cautious in this regard. Just because an IEP team must consider IEE’s, does not mean they must blindly accept everything stated in those IEE’s. 30. There was no procedural violation in this regard on the part of the District. Did the District Procedurally Deny Student a FAPE by Failing to Take Student’s Parents’ Concerns into Consideration in Developing the IEP Offers of August 2010, September 2010, February 2011, and April 2011? 31. Student next contends that the District denied Student a FAPE by failing to take into consideration the concerns of Student’s parents raised at the IEP team meetings. 34. As set for in Factual Findings 31 – 41, 71 – 91, 100 – 104, 129 – 138, and 146 – 150 above, the evidence shows that Student’s parents had input at every step of the IEP process for every IEP in question. The IEP team listened to their concerns. For example, the IEP team made changes to the goals proposed in the September 2010 IEP based on the input of Student’s father. At the IEP meeting in February 2011, the team requested input from Student’s father and offered more RSP time in an effort to address parental concerns. 36. The evidence supports a finding that the District IEP team members considered parental input at every one of the IEP team meetings in questions. There was no procedural violation and no denial of FAPE. Did the District Procedurally Deny Student a FAPE by Predetermining its Offer of Placement and Services Outside the IEP Process and IEP Team Meetings of August 2010, September 2010, February 2011, and April 2011? 38. Student presented no evidence of predetermination by the District. Instead, as set forth in Factual Findings 31 – 41, 71 – 91, 100 – 104, 129 – 138, and 146 – 150 and Legal Conclusions 24 – 36 above, the District considered the concerns of Student’s parents and offered to modify the various IEP’s accordingly. A good example of this occurred in the February 2011 IEP. As will be discussed below, the District’s offer of RSP services in the September 2010 IEP constituted a FAPE in the least restrictive environment. However, when Student’s parents placed Student in a far more restrictive setting (the LMB program) because they believed the District’s RSP program was not meeting Student’s needs, the District offered to increase the amount of RSP time in an effort to address the concerns of Student’s parents. 39. Student argues that the February 2011 IEP was the result of predetermination, but the evidence showed the contrary. As discussed in Factual Findings 129 – 141 above, the District employees wanted a discussion with Student’s father regarding his concerns and were willing to work with him in developing an IEP. Just because they were not willing to fund LMB services does not mean they predetermined that IEP offer. As set forth in Factual Findings 58 – 65 above, they had good reason to reject the LMB proposed services. 40. Student relies on a statement made by Rybarczyk in her letter dated September 9, 2010, discussed in Factual Finding 75 above, that the District was “not looking to make any changes” to Student’s services. Student argues that this was evidence of predetermination. However, as set forth in Factual Finding 86 above, the evidence shows that the IEP team did increase the amount of Student’s RSP services at the September 2010 meeting, so that statement was clearly not evidence of predetermination. 41. Finally, Student also contends that the informal meeting to discuss the AT assessment that occurred in April 2011, as discussed in Factual Finding 146 above, evidenced predetermination. Student’s contention is not well taken. There is nothing wrong with District staff having an informal gathering prior to an IEP team meeting to discuss proposals. (See J.L. v. Mercer Island School District (9th Cir. 2010) 592 F.3d 938, 952.) Student’s parents were provided with a copy of the AT report and recommendations. The informal familiarization of the District staff with those proposed programs did not predetermine the AT programs to be used – if anything, it would assist Student’s parents during the IEP meeting when they asked questions about how the various AT programs might assist their daughter. 42. Student failed to meet her burden to show predetermination. There was no procedural violation in this regard. Did the District Procedurally Deny Student a FAPE by Failing to Provide an Assessment Plan to Student’s Parents Within 15 Days of Student’s Parents’ February 4, 2010 Request for OT, AT and APE Assessments? 43. Education Code section 56043, subdivision (a), provides that a proposed assessment plan shall be developed within 15 calendar days of referral for assessment, not counting school vacations in excess of five days or the time between regular school sessions. (See also Ed. Code, § 56321, subd. (a).) As set forth in Factual Findings 42 – 44 above, Student’s parents made their request for OT, APE and AT assessments in February 2010. The District did not send Student’s parents assessment plans until many months later, long after the 15 day deadline. That constituted a procedural violation of special education law. 44. The next question is whether that procedural violation gave rise to a substantive denial of FAPE. As stated above in Legal Conclusion 4, not every procedural violation results in a substantive denial of FAPE. In this case, Student presented no evidence that the District’s delay in conducting the OT, APE or AT assessments impeded Student’s right to a FAPE or denied Student educational benefits – Student was accessing the school curriculum without need for OT, APE or AT services. As set forth in Factual Findings 92 – 104 and 143 – 148 above, when the OT assessment was finally done, the assessor determined that Student did not need OT services at all. The APE assessment found only a borderline problem which was easily corrected by general education interventions. The AT assessment recommended programs that could be helpful for Student, but there was no evidence that Student was unable to obtain a FAPE without them. 45. However, it does appear that the failure to conduct the assessments significantly impeded the opportunity of Student’s parents to participate in the decision making process regarding the provision of FAPE to Student. Student’s parents believed those assessments were necessary and asked for them. When the District failed to conduct those assessments, it deprived Student’s parents of information that they needed to participate in the IEP process. In that respect, the procedural violation did result in a substantive denial of FAPE. The appropriate remedy for that denial of FAPE will be discussed below. Did the District Procedurally Deny Student a FAPE by Failing to Conduct the OT, AT and APE Assessments and Hold an IEP Team Meeting Within 60 Days of the Date Written Consent to Assess Was Received from Student’s Parents? 47. In Student’s written closing argument, Student contended that Student’s parents gave their “consent” to the assessments in February 2010. That contention is not well taken – a request for an assessment is different from a parent’s signed consent to an assessment plan. 48. As stated in Factual Findings 44 above, Student’s parents gave their consent to the proposed assessment for OT on September 29, 2010, and for APE on September 30, 2010. The IEP team meeting to review those assessments was held on November 10, 2010, within the 60 days. There was no denial of FAPE. 49. Student’s parents gave their consent to the AT assessment on January 13, 2011, and the IEP team meeting to review the AT assessment was held on April 20, 2011, 37 days after the 60 day deadline. The District could have, but did not provide evidence or argument, regarding what the school calendar was like between January 13, 2011, and April 20, 2011, and whether there were school holidays that might justify the delay. Student met her burden of showing that the District failed to hold a meeting to review the assessment within 60 days of receiving the signed assessment plan for an AT assessment. 50. However, it does not appear that the procedural violation resulted in a substantive denial of FAPE. There was no evidence presented that Student lost any educational benefit by the 37 day delay, nor that the delay impeded Student’s right to a free appropriate public education. As set forth in Factual Findings 146 – 150, when the IEP team meeting was ultimately held, Student parents did not agree to the AT services. Likewise, there was no evidence that the delay significantly impeded Student’s parents’ opportunity to participate in the decision making process. The real problem in this case was the District’s failure to provide the AT assessment for almost a year after Student’s parents requested it, but that issue has already been addressed in Legal Conclusions 43 – 45 above. Did the District Procedurally Deny Student a FAPE by Failing Either to Timely File a Request for Due Process Hearing or Provide an IEE in OT to Student When Student’s Parents Requested the IEE in January 2011? 51. When a parent makes a request for an IEE, the school district must either agree to fund that IEE or file a due process hearing request to defend its own assessment. (34 C.F.R. § 300.502(b)(2) (2006).) Student contends that the District did not timely file a due process request or agree to fund the IEE in OT. The evidence does not support Student’s contention. 52. As set forth in Factual Findings 117 – 120 above, Student parents made their request for the OT IEE on January 21, 2011. The District agreed to fund that IEE. The District made out an assessment plan for an IEE assessor that Student’s parents did not want, so the District agreed to fund an IEE by a different assessor chosen by Student’s parents. There was no evidence presented that Student’s parents ever asked for a different assessor. In Student’s written closing argument, Student contends that Student’s parents never received another assessment plan from the District. Even if Student’s claims in this regard are correct, Student’s parents certainly received Moga’s March 31 letter and had the ability to respond to it. The District even offered the OT IEE again at the April meeting. 53. It is not clear what Student’s parents wanted the District to do under these circumstances. Because the District had agreed to fund an IEE, there was no need for the District to file for due process. Student’s parents rejected the District’s proposed IEE assessor and wanted to choose their own, but Student presented no evidence that her parents ever proposed a different assessor, despite plenty of opportunity to do so. There was no denial of FAPE. Did the District Procedurally Deny Student a FAPE by Failing to Make All Educational Records Available to Student’s Parents Within Five Business Days of Their Written Request of January 21, 2011? 54. California law gives parents the right to request copies of their child’s educational records from a school district. A district has five days to produce records in response to such a request. (Ed. Code, § 56504; see also Ed. Code, § 56501, sub. (b)(3).) As set forth in Factual Findings 109 – 116 above, Student’s parents made a records request. The District produced some records, but failed to produce the test protocols for the APE assessment and the OT assessment. The two assessors testified that their protocols existed in the District records, so those documents should have been produced. 55. The failure to produce those protocols constituted a procedural denial of FAPE. In addition, it significantly impeded the opportunity of Student’s parents to participate in the decision making process regarding the provision of FAPE to Student, by interfering with Student’s parents’ ability to bring their due process case. For example, the APE assessor admitted that she was unable to discuss some of her specific test results without reviewing her protocols. This interfered with the ability of Student’s counsel to effectively cross-examine the witness regarding her assessment of Student. 56. The procedural violation resulted in a substantive denial of FAPE. The remedy for that denial of FAPE will be discussed below. During the 2010 – 2011 School Year, Did the District Deny Student a FAPE by Failing to Implement her RSP and Specialized Instruction in the Frequency and Duration Provided for in Her IEP, Thereby Failing to Properly Implement the IEP? 58. Student contends that the District did not provide Student the RSP services called for in Student’s IEP. Student bases this contention on the RSP logs discussed in Factual Findings 127 – 128 above. Student argues that the logs show the daily RSP services often were either longer or shorter than the amount called for in the IEP. 60. Student did not submit sufficient evidence to show a material failure to implement Student’s IEP. Any extra minutes spent in the RSP room were permitted by the clause in the IEP’s which stated that the RSP services could include “any other amount of time as needed.” Student argues that some of the sessions were shorter than called for in the IEP’s, but Rybarczyk testified that the time listed on the logs did not include math instruction prior to March 1, 2011, so Student was actually given additional time, not included in the logs. Student has not met her burden of showing that Student received less time in RSP than called for in the IEP prior to March 1, 2011. 61. The logs between March 1 and March 9, 2011, are too small a sample to see if there was a pattern of changing RSP times for the math RSP instruction. Rybarczyk testified that she provided the RSP math services called for in the IEP. The great gains that Student made in math after March 1, 2011, support her testimony that Student’s IEP services were implemented appropriately in accordance with the IEP requirements. At most, Student has shown three or four days when the math RSP instruction differed from the exact number of minutes in the IEP. However, that is not a material failure to implement the IEP. Student has not provided sufficient evidence to meet her burden to show that Student was not provided with the RSP services called for in her IEP after March 1, 2011. 62. Student’s main argument in this regard is that the “any other amount of time” clause contained in the IEP’s was improper. Student relies upon California Education Code section 56345, subdivision (a)(4) and (7), and argues that vague language prevented the meaningful participation of Student’s parents in the IEP process. Student also contends that this clause allowed the District educators to determine Student’s special education program outside the IEP process. 63. Student cites to cases such as Union School District v. Smith (9th Cir. 1994) 15 F.3d 1519, in which a district failed to make a formal offer of a placement because it believed that the child’s parents would reject the offer, and Board of Education of the Chatham Central School District (2003) 39 IDELR 144, in which the District did not provide the parents with a completed copy of the proposed IEP “until well after services would have been provided pursuant to that IEP….” Neither of these cases supports Student’s position on this issue. 64. A provision of the type included in the District’s IEP’s, which was intended to give a little flexibility to the RSP teacher and general education teacher to add a few minutes to Student’s RSP services as necessary on a given day does not rise to the level of a failure to place the duration and frequency of the services in the IEP. As set forth in Factual Findings 45 and 127 – 128 above, at most Student received between 10 and 25 minutes of extra RSP services. That minor flexibility, designed to meet Student’s needs on that particular day, did not deprive Student’s parents of their opportunity to participate in the IEP process. There was no procedural violation on that basis. Further, even if there was a procedural violation, Student cannot show that she suffered any educational harm as a result – Student believes that Student required more intensive instruction during this time period than what the District provided, so she can hardly object to a few extra minutes of intensive instruction. Student failed to meet her burden of proving that the District denied her a FAPE by failing to implement her IEP’s. Did the District Deny Student a FAPE, by Failing to Implement the Portions of the February 2011 IEP that Student’s Parents Consented to in Order to Prevent a Delay in the Provision of Services to Student? 67. The parties dispute the legal issue of whether a child’s parents can revoke consent to a portion of their child’s IEP services after agreeing to those services. However, it is not necessary to decide this issue, because even if there was a violation by the District, it did not result in a material failure to implement the IEP. 68. Official notice is taken of the calendar for 2011. (See Gov. Code, § 11515; Evid. Code, §§ 451, 452.) February 23, 2011, fell on a Wednesday, and March 1, 2011, was on the following Tuesday. At most, the District failed to implement the new IEP services for three school days. That is not a material failure to implement the IEP. (Van Duyn, supra, 502 F.3d at p. 815.) There was no denial of FAPE. 69. Student contends that each of the District’s IEP’s between January 2010 and April 2011 substantively denied Student a FAPE. The District’s case focuses on two of those IEP’s – the September 16, 2010, and February 10, 2011 IEP’s. The most logical way to address these related issues is to consider each IEP separately. The January 2010 IEP Provided Student with a FAPE. 70. As stated in Legal Conclusions 2 – 5 and 57 above, an IEP is evaluated in light of what was known at the time it was offered. The standard for whether an IEP substantively offered FAPE is whether it was reasonably calculated to provide educational benefit. DIS services (such as OT, APE and AT) are provided to the extent they are necessary for the child to benefit from special education. 9 Based on Student’s written closing argument, it is not clear whether Student also contends that the District violated Education Code section 56346, subdivision (e), by failing to stop language arts RSP services as of February 1, 2011, prior to the February 10, 2011 IEP offer. However, the issue stated in the Prehearing Conference Order, as clarified by the parties during the hearing, involves only the failure to implement the agreed-upon portions of the February 2011 IEP, so it is not necessary for this Decision to go back to any attempted revocation of services that occurred prior to Student’s parents’ acceptance of portions of the February IEP on February 23, 2011. 71. As set forth in Factual Findings 31 – 41 above, Rybarczyk and Boesen testified that the January 2010 IEP identified Student’s educational needs, contained appropriate and adequate goals, and offered appropriate placement and services to meet Student’s needs. Student, who has the burden to show the IEP was inappropriate, presented no expert evidence to contradict the opinions of the District educators. 72. In Student’s written closing argument, Student contends that the January 2010 IEP and the goals contained in that document were based on inadequate information because of problems with the assessments. However, as discussed in Legal Conclusions 12 – 23 above, the assessments were appropriate and sufficient for the District to make an IEP offer. The District did not have any of the IEE’s at that point, and based on the information the District possessed at that time, the offer was reasonably calculated to provide Student with educational benefit. 73. Student contends that the District should have offered OT, APE and AT services at that time. However, as set forth in Factual Findings 23 – 25 above, there was no evidence that Student needed those services at that time to benefit from her special education. Instead, the evidence showed that she was accessing the general education and special education environments without need for such services. 75. As set forth in Factual Findings 39, 76, 88, 135 and 149 above, the District witnesses were clear in their testimony that Student did not demonstrate the type of regression that would require ESY services. Student brought in no expert evidence or testimony to refute their testimony. Student claims that her deficits in second grade demonstrate regression, but without an expert to testify that it was the type of regression that required ESY, Student cannot prevail. To the extent that Student relies on the LMB testing to show regression between second and third grade, that evidence is not persuasive – the LMB assessments lack persuasive value for the reasons discussed in Factual Findings 58 – 65 above. 76. Based on the information possessed by the District in January 2010, the IEP was reasonably calculated to provide Student with educational benefit, contained sufficient and appropriate goals, provided an appropriate placement, and offered sufficient specialized instruction and related services to meet Student’s needs. There was no denial of FAPE. 77. By the time of the August and September 2010 IEP meetings, the District had received and considered the reports by Meyer and Perry. However, as stated in Factual Findings 48 – 65 and Legal Conclusions 12 – 30 above, the District IEP team members had good reason to be cautious about those findings. The District changed Student’s eligibility category and her goals, but was reluctant to follow the recommendation of Meyer and Perry to pull Student from her general education classroom to place her in the highly restrictive LMB setting. 78. Student contends that the District did not adequately meet its burden of proof to show that the September 2010 IEP was reasonably calculated to provide educational benefit to Student. In particular, Student argues that Moss, the District’s LMB expert, did not testify regarding the District’s IEP. However, as stated in Factual Finding 90 above, Rybarczyk testified that the September 2010 IEP was appropriate. Rybarczyk is a credentialed special education teacher who had personal knowledge of Student’s needs based on working with Student over many months, so her testimony is persuasive on this issue. Further, as set forth in Factual Findings 66 – 91 above, at the time of the September 2010 IEP meeting, the District team members were aware that Student had made academic progress since her January 2010 IEP, so they could reasonably conclude that the proposed program in the September 2010 IEP would continue that progress. 79. Student presented no expert testimony to counter Rybarczyk’s opinion. As set forth in Factual Findings 55 and 90 above, Meyer did not directly criticize the District’s IEP. Even if he had, his opinion would have lacked persuasive force, because he relied upon cognitive testing that was not intended to be administered to a child in Student’s circumstances. His general statement about school RSP programs not being sufficient for Student is weakened both by the problems with his assessment and by his unfamiliarity with the District’s methodologies. His opinions were not sufficient to show that the District denied Student a FAPE. 80. In the written closing argument, Student contends that because the IEP team agreed to change Student’s eligibility category to SLD based on Meyer’s opinion, the team must have “inherently accepted as true” Meyer’s opinion that Student’s “ability to learn was higher than that which had been assumed by the District….” However, that statement does not follow. As discussed in Factual Findings 56 and 77 – 91, the evidence at hearing showed the District IEP team members had concerns about Meyer’s findings, but were willing to go along with the team’s decision to change Student’s eligibility category. An IEP is developed in a team process, in which both educational experts and lay people work together to try to craft a program appropriate to meet an individual child’s needs. An IEP determination based on that give-and-take process is not a concession from the District regarding Student’s ability to learn, particularly in the instant case in which the findings from the IEE’s were questionable. 81. The evidence also supports a finding that the goals in the September 2010 IEP were appropriate. As set forth in Factual Finding 81 above, Rybarczyk testified that the goals were appropriate, addressed Student’s areas of need and were based on third grade standards. Student presented no expert testimony to challenge any of the goals. In Student’s written closing argument, she argues that the goals were created outside the IEP process because a draft of the goals was mailed to Student’s parents prior to the meeting. However, the evidence showed the opposite of Student’s contention. As set forth in Factual Findings 75 and 81 above, Student’s parents reviewed and commented on the draft goals, and the goals were changed during the IEP meeting. 82. Student contends that the IEP did not offer sufficient services in the areas of OT, AT and APE. This contention fails for the same reasons set forth in Legal Conclusion 73 above. There was no evidence presented that Student had need of such services as of September 2010 in order to benefit from her special education. The evidence shows that she was making progress without those services at all times at issue in this case. As set forth in Factual Finding 90 above, Rybarczyk testified that the IEP was sufficient to meet Student’s needs. Likewise, Student’s arguments regarding ESY fail for the same reasons as set forth in Legal Conclusions 74 – 75 above. 84. In her written closing argument, Student contends that the September 2010 IEP was procedurally defective because it failed to include a specific statement of what the frequency, duration and location of the RSP services would be. Student bases this contention on the language in the IEP, set forth in Factual Finding 86 above, that the RSP services could include “any other time as needed.” As discussed in Legal Conclusions 62 – 64 above, this argument is not well taken. A provision of the type included in the District’s IEP, which was intended to give a little flexibility to the RSP teacher and general education teacher to add a few minutes to Student’s RSP services as necessary throughout the school week does not rise to the level of a failure to place the duration and frequency of the services in the IEP. 85. The District met its burden of proving that the August/September 2010 IEP offered Student a FAPE both procedurally and substantively. 86. As set forth in Factual Findings 92 – 104, the November 2010 IEP was primarily intended to review and consider the OT and APE assessments. Student’s parents had not agreed to the September 2010 IEP offer at that point, though they later agreed in December 2010. The placement and services offered in the November 2010 IEP were appropriate for the same reasons as those in the September 2010 IEP, discussed above. 87. Student failed to show that the team’s decision not to offer OT services at the November meeting denied Student a FAPE. By the time of the November meeting, the District had received Namehas’ OT evaluation. As stated above in Factual Findings 92 – 97 and 100 – 101 and Legal Conclusion 22, that assessment was appropriate, and the IEP team properly relied on that assessment in determining that Student did not need OT services. 88. Likewise, as set forth in Factual Findings 98 – 104 above, the IEP team correctly determined that APE services were not required. Although Student could have received those services, the team determined that her needs could be addressed with interventions in the general education classroom. That was an IEP team decision derived after discussion and consideration of Student’s individual needs. Student’s parents ultimately agreed to that decision. Student contends that the District could have offered APE consult services, but she presented no expert evidence that such services were needed. In effect, the discussion at the IEP meeting was an APE consult. Ultimately, Student’s areas of weakness were remediated with the services, so there was no need to revisit the APE issue at later IEP meetings. There was no denial of FAPE. 89. As set forth in Factual Findings 143 – 150, a later AT assessment ultimately found that Student could benefit from AT services. However, there was no evidence to indicate that Student required those services as of November 2010 to benefit from her special education. 90. Student failed to meet her burden to show that the November 2010 IEP denied her a FAPE. 91. The February IEP was held because of the parties’ disagreement about Student attending LMB instead of the public school. To the extent that February IEP continued the goals, accommodations and services from the September 2010 IEP, it was appropriate for the reasons stated in Legal Conclusions 77 – 90 above. 92. In Student’s written closing argument, Student contends that the District failed to change Student’s IEP program “despite lack of progress over time.” As discussed in Factual Findings 66 – 70 and 105 – 137 above, there was disputed evidence as to how much progress Student was making in the early part of third grade. Rybarczyk testified that Student made progress, although she was not at grade level. The February IEP noted the progress Student had made toward each of her goals. The Voyager Passport documents in evidence showed limited progress. Perry testified that the LMB documents showed regression. In resolving this dispute, Rybarczyk’s testimony is the most persuasive. She was working with Student on a daily basis and saw her improvement. The LMB test scores were questionable, for all the reasons outlined above. The Voyager Passport documents in evidence were just a few documents from a language arts intervention program and not a definitive statement regarding Student’s academic gains. The evidence showed that Student was making academic progress prior to the February 2011 IEP team meeting. 93. However, even if the evidence did show lack of progress in third grade, the District responded accordingly by increasing the amount of Student’s RSP services in the February 2011 IEP to 90 minutes a day, four days a week, plus one extra half hour a week, with half the time devoted to language arts and half to math. The evidence does not support Student’s claim that no changes were made to Student’s program. 94. As stated in Factual Finding 136 above, Moga explained that the increase in RSP services was necessary because Student was missing core curriculum every day by attending the LMB program and the District did not want Student to fall behind. The District’s rationale for increasing the RSP time made sense. It was clear to the team that Student’s parents believed Student needed additional specialized instruction. Increasing her RSP time was one way to provide that and still keep Student in the general education environment to the greatest extent possible. 95. Even though the District believed Student was making progress, it was appropriate for the IEP team to offer an increase in RSP services as a counter to the highly restrictive LMB placement. Student does not argue that the District’s February 2011 IEP offer was not the LRE for Student. It would be difficult for Student to make that argument, since Student’s parents believed that Student needed a much more restrictive setting. 96. Given all the factors that the District knew at the time, the February 2011 IEP offered Student a placement in the LRE appropriate for Student. LRE is involves a balance between the benefits of the general education classroom and the additional academic gains that a child might make in a more restrictive setting. (See Sacramento City Unified School District v. Rachel H. (9th Cir. 1994) 14 F.3d 1398.) The great gains that Student made in math during the latter part of the third grade year were a good example of this – Student had been making progress in math under the prior amount of RSP math services, but once she was pulled out of the general education classroom for additional math services, she made much greater progress. The math services in the September 2010 IEP provided a FAPE for Student, but the IEP team (including Student’s parents) agreed to the increased RSP services. 97. In Student’s written closing argument, Student tries to use the gains in math during the latter part of the third grade year to show that Student’s math RSP services were inadequate before that. However, as set forth in Factual Findings 130 – 136 the evidence showed that Student was making progress in math prior to that, although more slowly. 98. The February 2011 IEP also offered Student sufficient related services for her to benefit from special education and properly denied Student ESY services, for all the reasons discussed in Legal Conclusions 73 – 75, 82 and 86 – 90 above. 99. The District met its burden of proving that the February 2011 IEP offered Student a FAPE both procedurally and substantively in the LRE appropriate for Student at the time the offer was made. 100. Most of the programs and services offered in the April 2011 IEP mirrored those in the February 2011 IEP and are addressed in Legal Conclusions 91 – 98 above. As set forth in Factual Findings 146 – 158 above, the evidence showed that Student was making progress on the IEP goals to which Student’s parents had agreed. It was objectively reasonable for the District to assume that Student would continue to make that progress with the same basic offer of placement and services in the April 2011 IEP. There was no denial of FAPE. 101. Student alleges that the AT services offered in the April 2011 IEP were improper, because it was not specifically stated how the software would be implemented, when Student would be instructed, and when Student’s parents would be trained. Student’s contentions are not well taken – the IEP provided sufficient information for Student’s parents to understand what AT services were offered and how they would be provided. It was sufficient to enable them to determine whether or not to accept those services. There was no denial of FAPE. 102. As discussed in Legal Conclusions 1 – 100 above, aside from two narrow, procedural areas, the District offered and provided Student a FAPE both procedurally and substantively at all times at issue herein. Student has proven that the District denied Student a FAPE by failing to provide an assessment plan for OT, APE and AT assessments in a timely fashion and by failing to produce all of Student’s educational records in response to the records request made by Student’s parents (in particular the protocols regarding the APE and OT assessments). Student seeks reimbursement for the LMB services and transportation, compensatory education, and IEE’s in the areas of OT and AT. 104. The logical remedy for the District’s failure to conduct timely assessments and to produce protocols regarding those assessments is to order the District to fund IEE’s for OT, APE and AT.10 Student’s parents may choose the assessors, but those assessors must meet the SELPA’s policy regarding “Qualifications for Evaluators” who conduct IEE’s. 105. There was also some suggestion in Student’s papers that the District should be ordered to abide by the recommendations of the assessors in the IEE’s as compensatory education. That would not be appropriate to order. Even if the IEE’s find that Student has needs in one or more of these areas that the District did not find earlier, that would not prove that the District’s earlier assessments were inappropriate. At this point, after having missed core curriculum to attend LMB for much of her third grade year, Student may have needs in these three areas that were not present before. The IEE’s should be considered by the IEP team in the same manner as any other IEE funded by the District. 1. The District’s IEP’s dated September 16, 2010, and February 10, 2011, offered Student a FAPE in the least restrictive environment. 2. The District shall fund IEE’s in the areas of OT, APE and AT. Student’s parents shall choose the assessors, provided that any assessor chosen must meet the SELPA’s guidelines entitled: Qualifications for Evaluators. The District shall provide Student’s parents with a copy of the SELPA’s Qualifications for Evaluators within 15 days of the date of this Decision. Student shall provide names of the proposed assessor(s) to the District in writing within 60 days of the date of this Decision. If Student’s parents do not provide the District with the names of the proposed assessor(s) within that time, the District will no longer have an obligation to fund the IEE’s. 3. All of Student’s remaining claims for relief are denied. 10 Because the District has been willing to fund an OT IEE all along, an order requiring the District to fund an OT IEE might seem superfluous. However, the order will settle any confusion that Student’s parents may have about the District’s willingness to fund the IEE. It is not clear from Student’s written closing argument whether Student is actually seeking an IEE in the area of APE as a remedy in this case. As set forth in Factual Finding 160 above, Student’s father testified that Student’s parents still have concerns about Student’s needs in that area, so an IEE would be an appropriate remedy. However, if Student does not wish an IEE in the area of APE, nothing in this Decision is intended to require such an IEE. Pursuant to California Education Code section 56507, subdivision (d), the hearing decision must indicate the extent to which each party has prevailed on each issue heard and decided. Here, Student prevailed on issues 4(f), and 4(h). The District prevailed on the remaining issues.